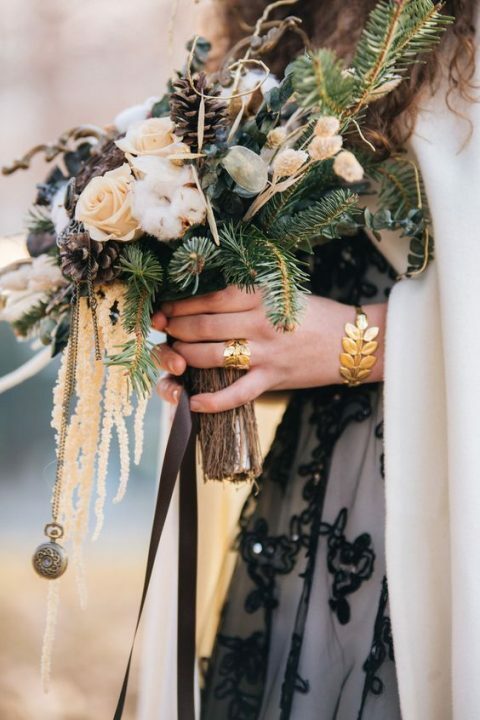 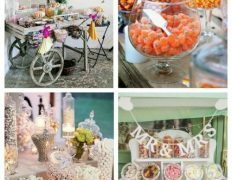 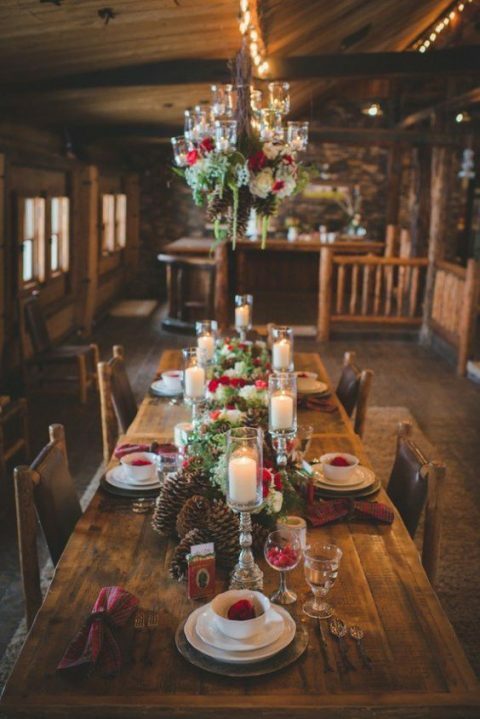 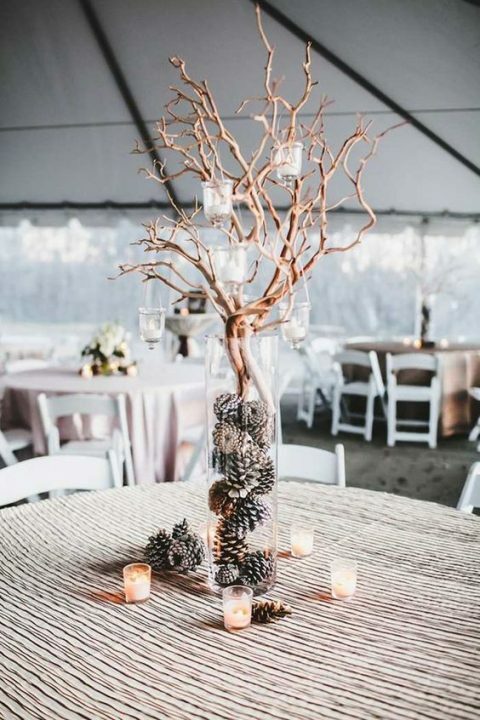 Pinecones are often used in winter and fall decor, and incorporating them into your wedding means going eco-friendly, saving on the budget and having cute and rustic touches in decor. 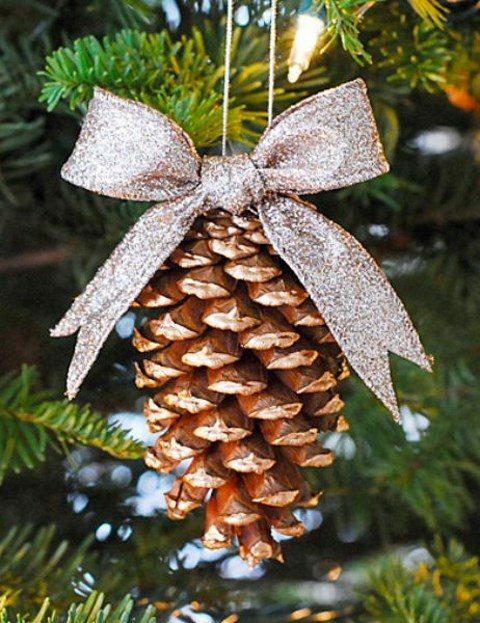 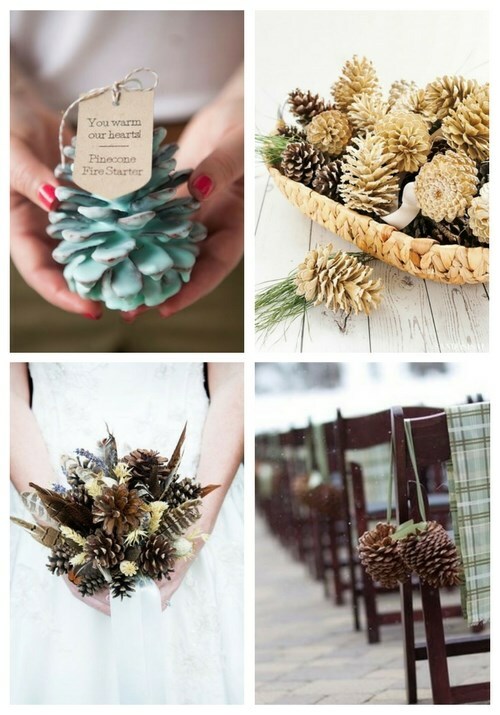 What are the coolest ideas to add pinecones to your decor? 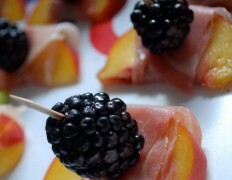 Let’s see. 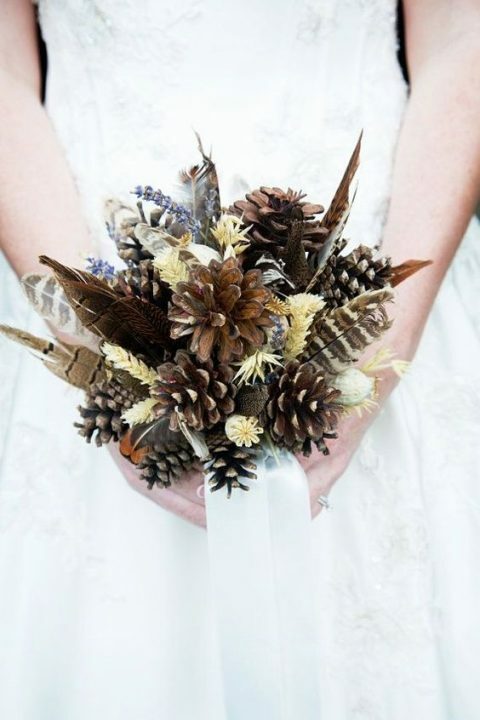 Rocking only pinecones in the bouquet isn’t trendy now, so just add them to the blooms you’ve chosen. 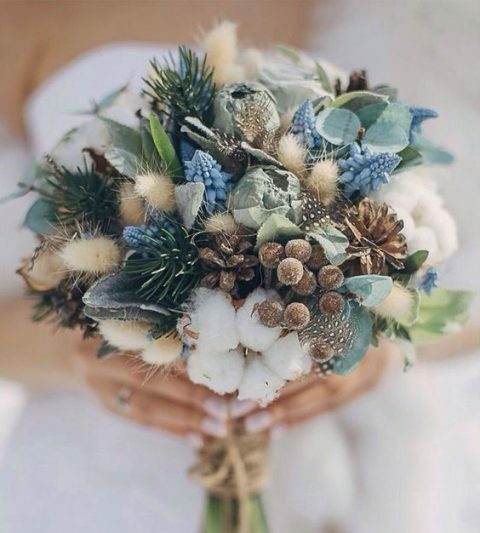 Ask your florist to create an unusual piece for you: cotton, pinecones, various foliage and berries to give your bouquet a winter feel. 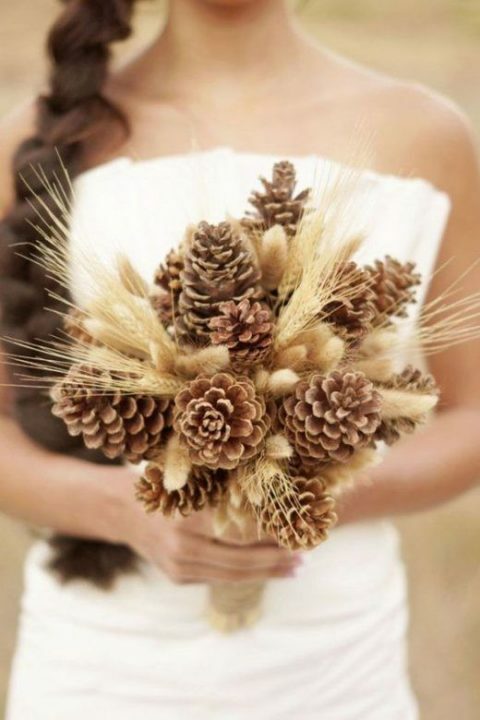 Go for feathers and wheat to make the bouquet rustic or boho-like, pinecones look awesome with almost anything. 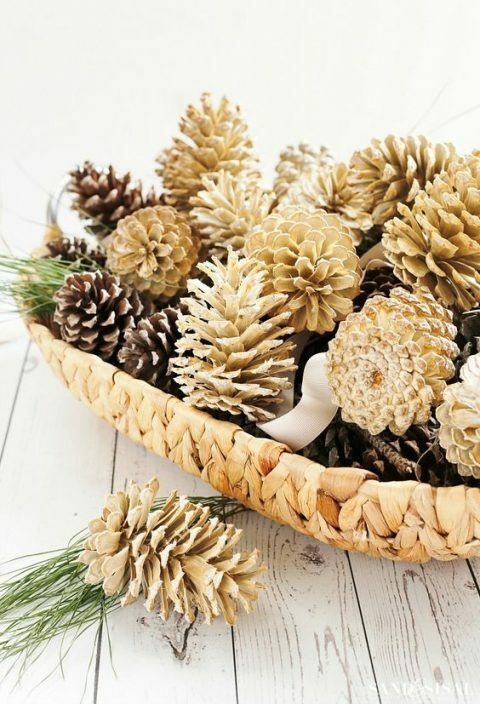 Pinecones can be used for making centerpieces and table runners. 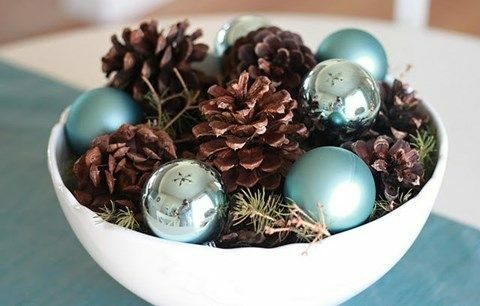 Take a bowl or tray of your choice, add evergreens, pinecones, ornaments and cotton and voila – a perfect wintery centerpiece is ready! 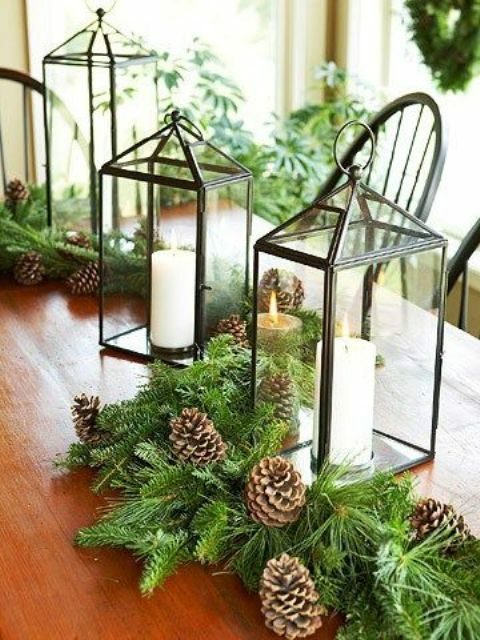 You may also create a cool table runner of evergreens and pinecones, add candles and a gorgeous and cool table runner for a cozy winter tablescape is done. 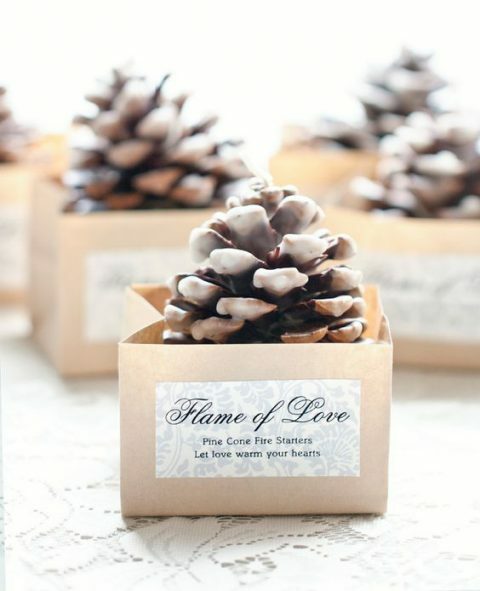 Pinecones can be also added to each place setting to mark it and hold place cards. 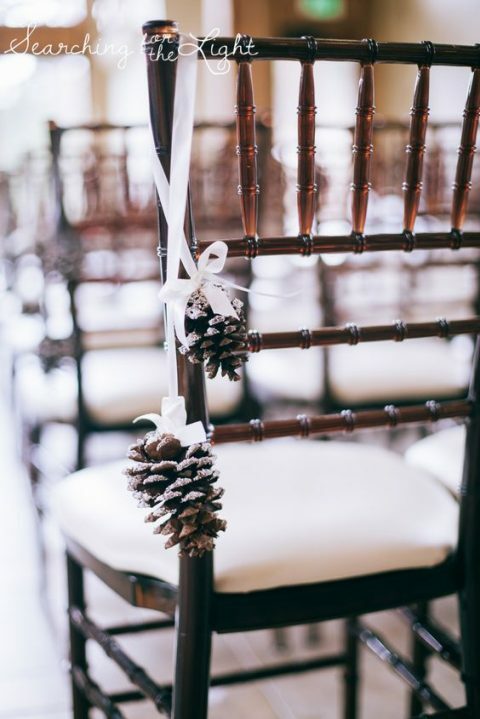 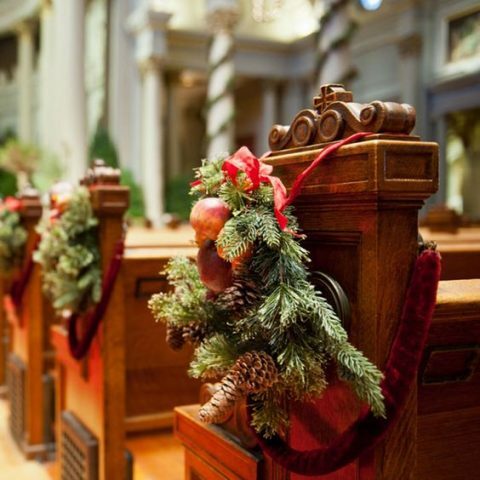 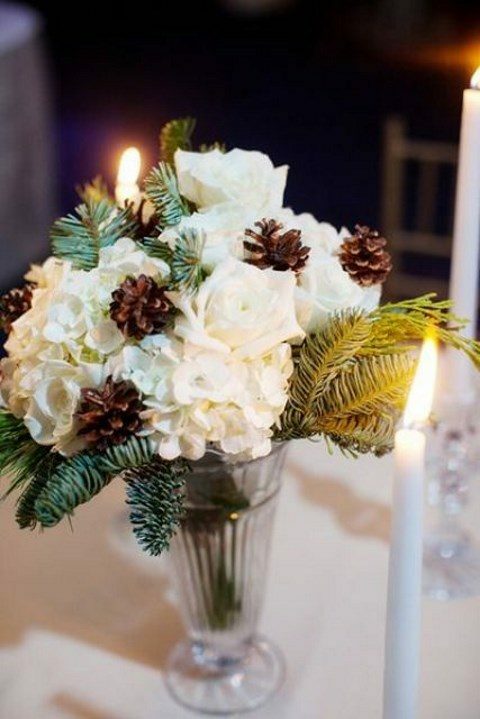 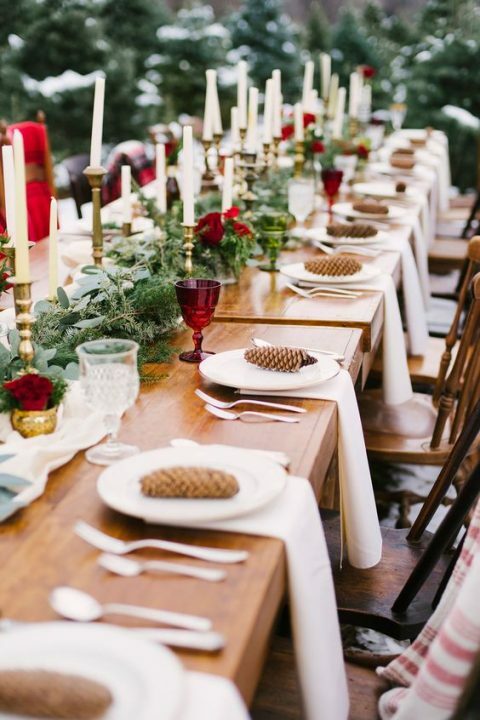 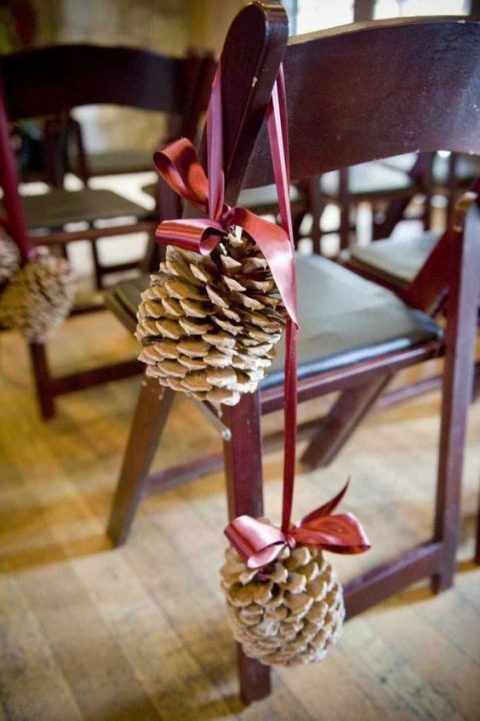 Line the aisle with pinecones: put them on the floor with candle lanterns or hang them on ribbon on the chairs. 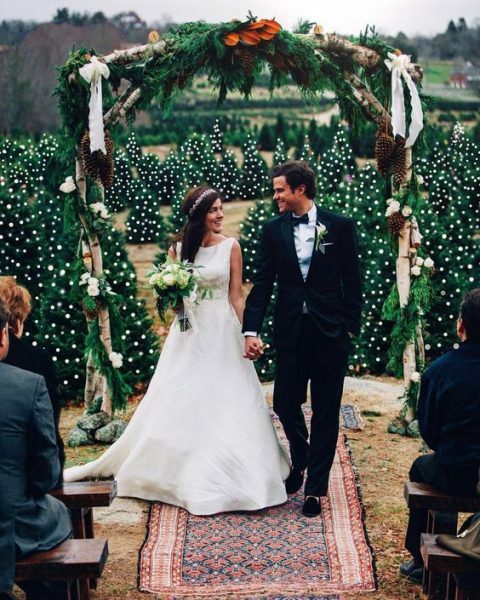 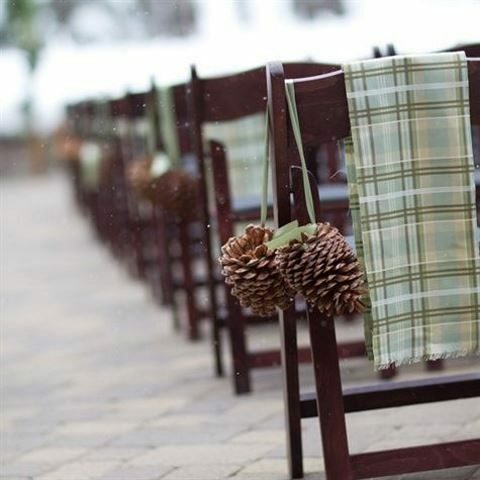 If it’s an outdoor ceremony, add blankets to the chairs to keep the guests warm. 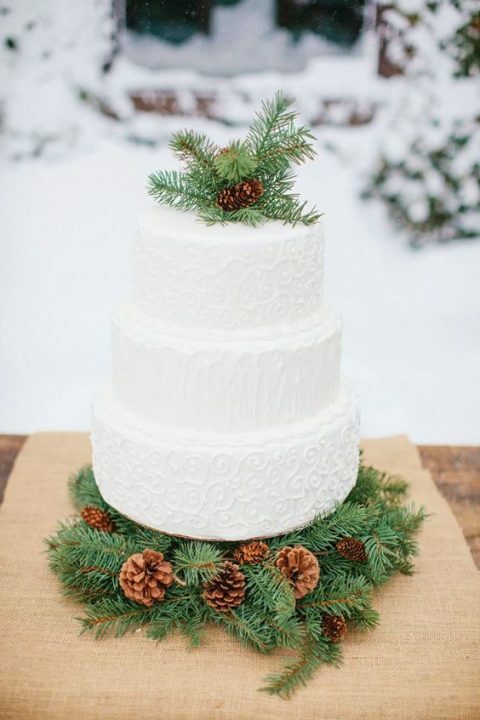 Decorate the arch with evergreens and pinecones, too, for a matching look. 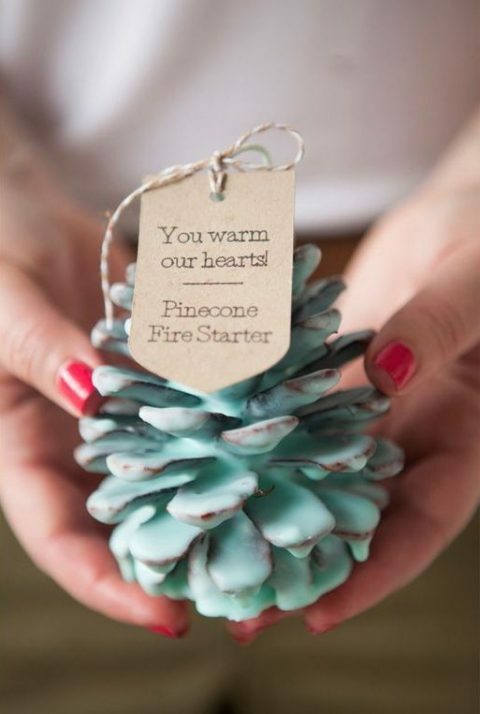 Pinecones can be turned into fire starters or Christmas ornaments with ribbons and they will be nice and inexpensive wedding favors. 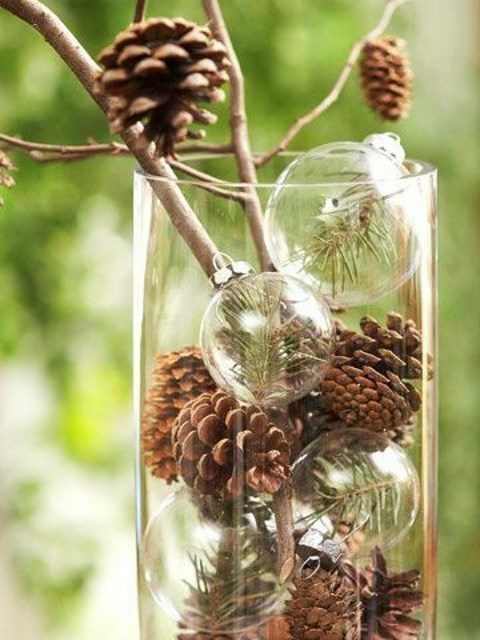 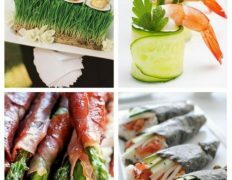 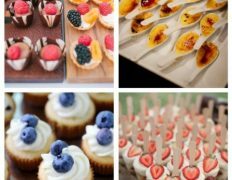 They are very easy to DIY and you can make as many as you need for cheap. 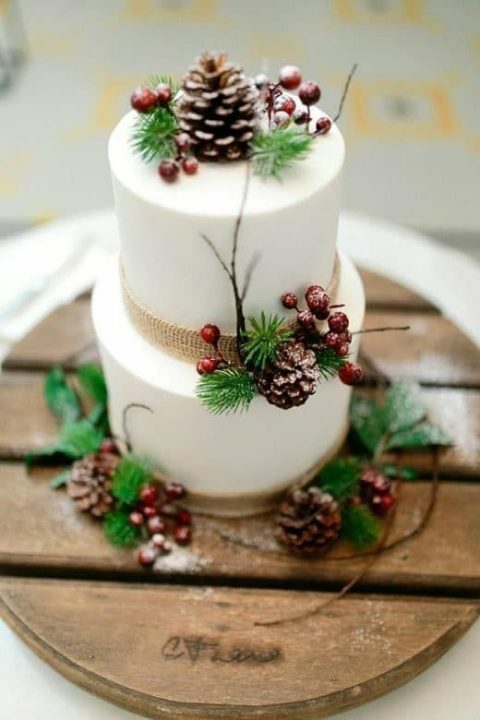 Top your wedding cake with pinecones, berries, evergreens and other winter-related stuff to make it really cool and rustic. 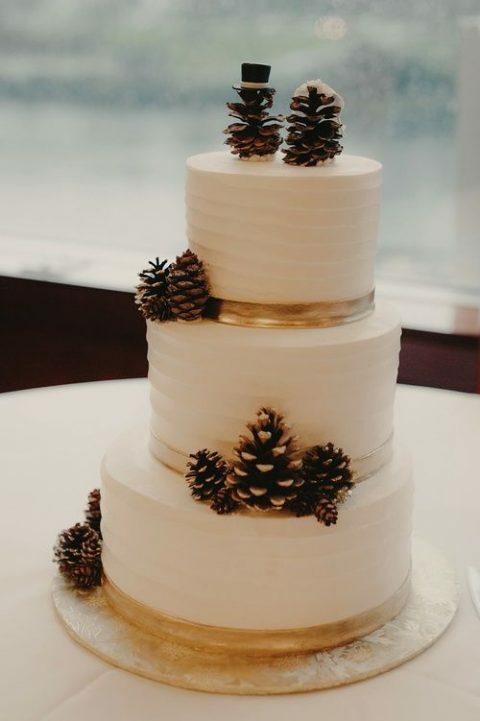 You may also serve the cake on an evergreen platform with pinecones, this is an impressive display. 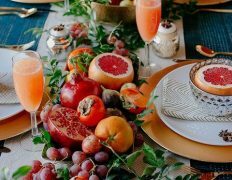 I want to point out my admiration for your kindness for those individuals that need help with in this matter. 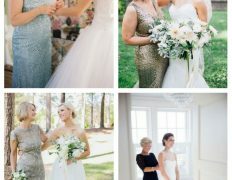 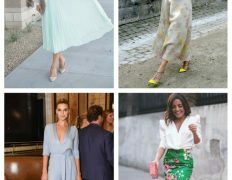 Your very own commitment to getting the solution throughout had been definitely significant and has in every case made girls like me to get to their endeavors. 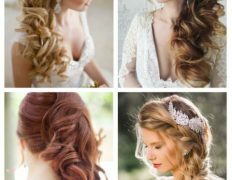 Your new informative tutorial means this much to me and further more to my office workers. 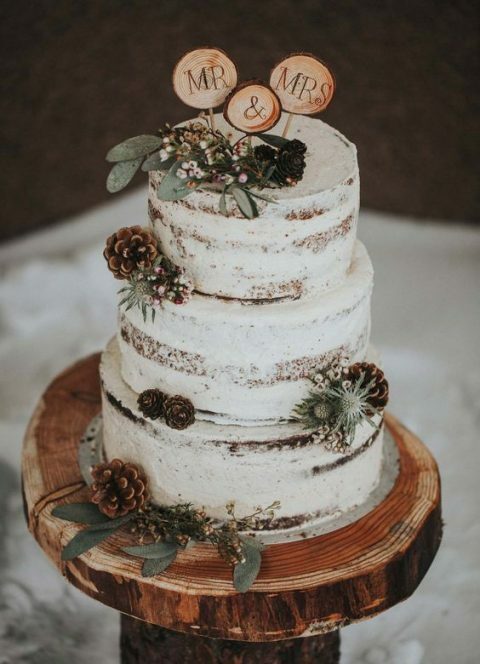 Thanks a ton; from everyone of us. 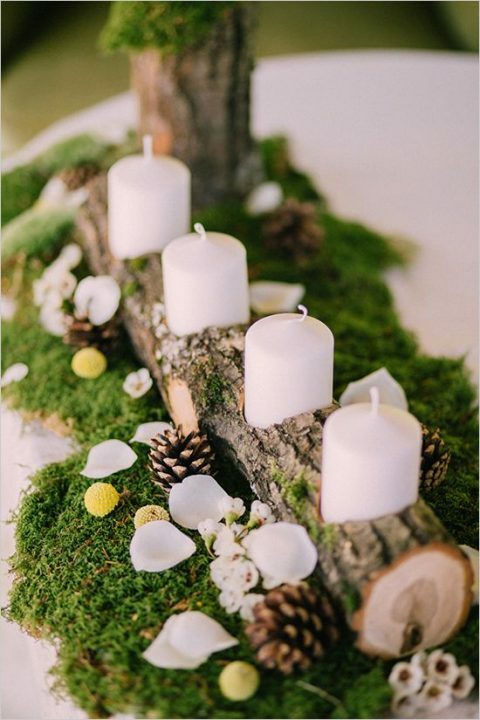 Is it possible that a playlist from spotify could be a nice addition in your page’s sidebar?